Guruji is the pioneer in Past Life Regression Therapy and is doing research from several years about Body-Mind-Soul. He has invented and introduced various healing and relaxation techniques. He has personally conducted more than 12,000 regression sessions. Thousands of people have benefitted from his healing. Within each of us appears to reside the events of passed life (past lives) and some inexperienced experiences. A back pain, migraine, knee pain, fear and phobia may be telling a story from an old accident, wound or negative experience. A chronic sore throat may derive from strangling, hanging or choking. As the soul returns to life over and over, these traumatic memories are re-created in our current life often making little sense, and keeping us from living peaceful lives. They are brought to our conscious awareness by anxiety, panic attacks, anger, depression, phobias, obsessions, failures, nightmares and unexplainable physical pain. Past life regression allows us to see beyond the confusion and illusions of this life and brings about a healing of the past life that resonates into our present life. Perhaps after the perennial debate on the ‘Existence of God’, the existence of Past Lives might well be called the next most contested topic in today’s world. Volumes have been researched on and written for and against the existence of past lives. However, in this forum, it is not our endeavour to prove whether ‘Past Life’ as a concept is true or not! We leave it to the individuals to experience and decide for themselves whether or not to believe in it! Rather, the focus of our efforts would be to use this as a therapeutic tool to resolve and heal issues. It would help immensely if one were to go through Past Life Regression keeping healing in focus. Skeptics could consider their regression as their own subconscious mind bringing to fore (metaphorically) deep-rooted thought-patterns that might be affecting their daily lives. We do not focus on what the individual perceives, but as therapists, we are more intent on how it is linked to their issue at hand. It doesn’t matter. 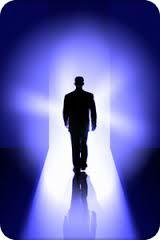 As long as you are open to the idea and are willing to explore, you are eligible for a past life regression therapy. No. On the contrary, PLR is a technique used to resolve fears. Many often fear that they will see something that they do not like, in their past. To this there is a simple reassurance – what you see is guided and edited by your subconscious mind – and your subconscious mind will not show you anything which you are not prepared to see. So, relax. PLR is a very pleasant, uplifting and energising experience. One visits previous lifetimes to resolve the root causes of present life patterns or problems, and wakes up to a better and more beautiful life. Past Life Regression (PLR) Therapy helps resolve issues, behavior, habit or belief that may have originated from a reaction to something that may have happened earlier in this life or even before this life. It can bring relief from conditions such as phobias and deep-seated behavioral issues.One does not need to experience a past-life memory solely for therapeutic reasons. Using the method of progressive relaxation, our therapist gently guides you back in time to the origin of a belief or behavior that may be a reaction to an experience in the past life. This process can bring understanding and clarity as to why you have a hindering belief or behavior. It can be helpful to reconstruct how you may have reacted to a situation that was in some way stressful or disturbing. Past life regression therapy is helpful for conditions such as post-traumatic stress or phobias. This powerful therapy can bring profound healing and offer relief from deep-seated fears & other behaviors that can be a obstacle your life. Does your past life negatively influence your current life? Do you have difficulty in releasing past issues with family,friends, relationships? Do you find it difficult to let go depression, sadness and stress? Most of these and many more ailments are past life issues still playing out, physical illness and pains are often caused by the mind remembering an old hurt. Once the past life is recalled the issues heal themselves most of the time immediately. We are eternal being, we should be able to tune into what we already are, the part that lies beyond this realm of time and space. How? We begin by withdrawing our focus and attention from this outside, material world and turn it inward. Regression is a great tool to do this, quickly creating the effect of an extremely deep meditation. To the degree that we set aside our left-brain or analytical mind, and instead focus entirely on the right-brain’s intuitive flow of information, is to the degree we begin to tune into and resonate with this eternal part of our self. The logical left-brain is an important tool to navigate and live in this physical dimension, but it certainly blocks you if you want to experience the higher vibrational dimension, and the soul aspect of yourself. Past life regression is an efficient means to “tune into what we already are,” because it offers a slow, steady, systematic method: We first allow ourself to “un-identify” with the dominant thoughts surrounding our current body. Then allow ourself to identify with a different body/mind personality that begins to form in your awareness. It is important to focus our full attention on the intuitive information that drops into our consciousness regarding this different body/mind, while simultaneously letting go of our left-brain’s analytical tendency to comment on that information.